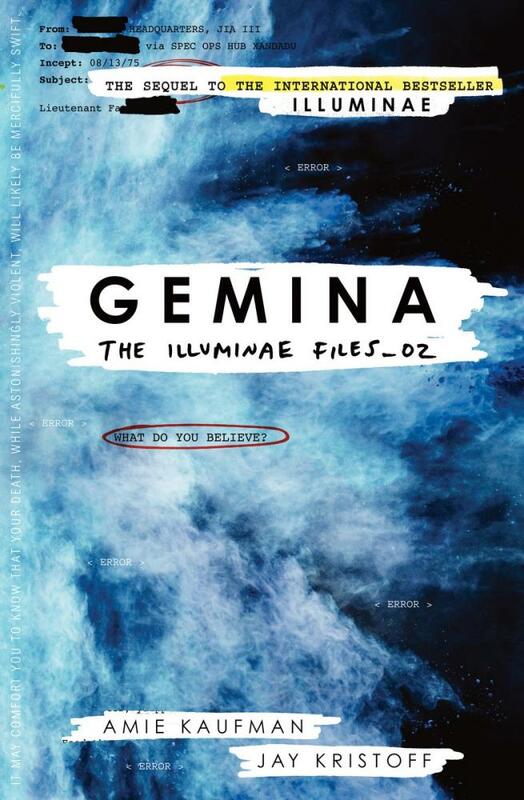 The Gemina file also contains pages from the private journal of its protagonist, Hanna Donnelly, whose artistic black and white sketches (by bestselling author Marie Lu) grace the pages of the novel throughout. The novel’s creative design truly renders it a work of ‘science fiction meets art’. The text can be mirrored, upside-down, circular … even sideways. There are graphic explosions and artworks comprised of binary numbers. This is a novel that will catch the attention of all your fellow commuters on the train (who will crane their necks, curiously, for a glimpse of the title)! The Illuminae file explained the atrocities committed by BeiTech on Planet Kerenza. The Gemina file is about BeiTech’s assault on the space station Heimdall and the approaching Hypatia (with Illuminae survivor, Kady Grant, onboard). The story commences with the trial of the BeiTech Industries director (and an immediate dawning on the reader’s part of who was behind the attacks). It is very much the story of two new characters, Hanna and Nik, and their attempts to save themselves during the attack on Heimdall. Plus their station crew. And the Hypatia survivors. Oh and, as it turns out, the entire universe. Easy, right?